Keep toned for tennis and squash and general overall fitness! 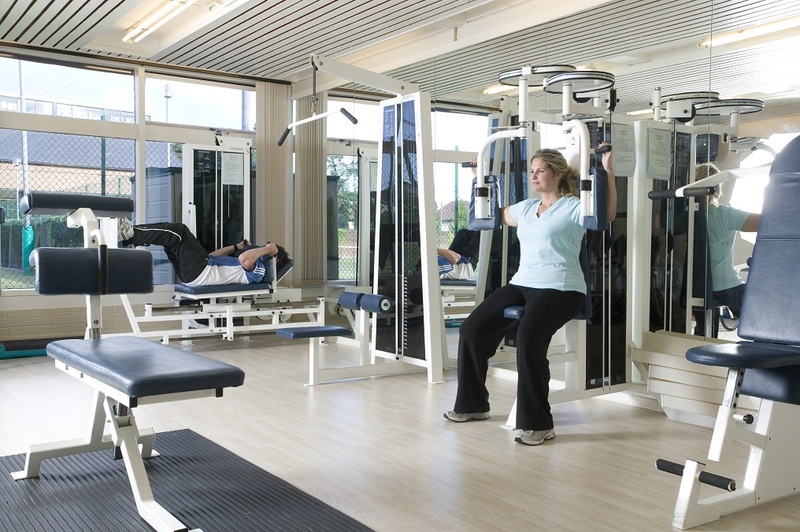 Our new multi-level gym is fitted out with an impressive array of cardiovascular machines, cycling machines, rowing machines, treadmills, climbers, weights machines, free weights, core stability equipment, mirrors, chilled water coolers, plasma TVs & streamed music. Your heart is the centre of everything you do. With a stronger heart, you can pump oxygen-rich blood round your body faster, making it easier to get and stay fit for your favourite activity. Our range of cardio fitness training equipment is state-of-the-art, and by constantly updating our equipment we make sure you have everything you need to give your heart and lungs a great workout! Qualified Instructors, headed by Marc Howland, sports massage therapists and individual fitness regimes are available to all members. Telephone or email Windsor Reception to get more details on the Gym, or to book your familiarisation course. We are open from 07:00 am (during the weekend the Windsor Gym opens at 09:00) to cater for those early-riser exercise fiends! As we are situated between the Lisburn and Malone Roads, two arterial roads into Belfast we are ideally situated for those wanting to get some exercise before or after their working day!